Six towns, many secrets. Plymouth, Massachusetts; Elizabethtown, Maryland; Savannah, Georgia; Charlotte Haven, Florida, Popham, Massachusetts; Roanoke Island. Six towns that appear to have nothing in common. Six towns with secrets. 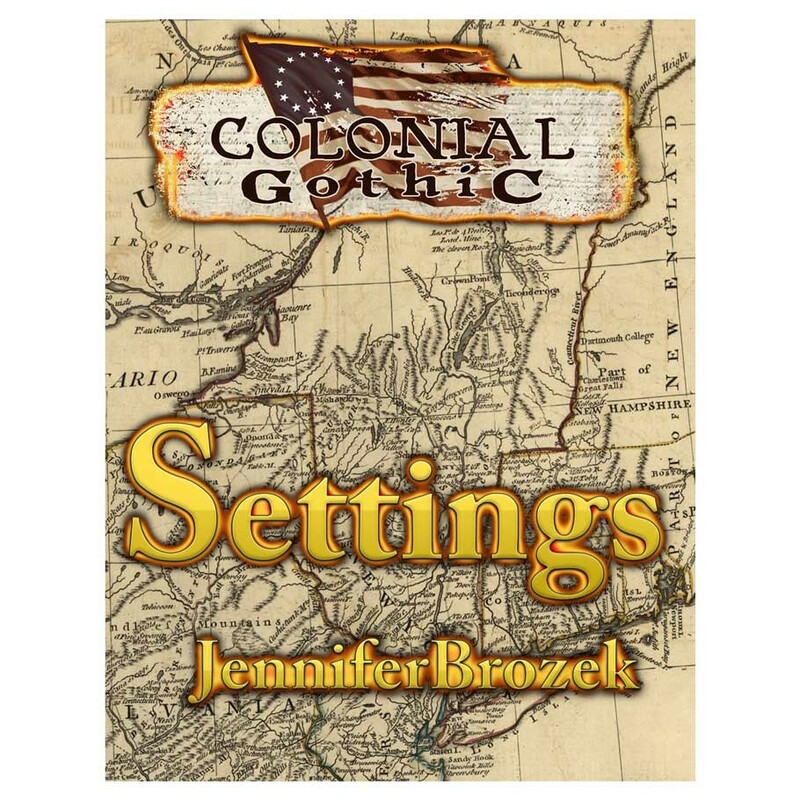 Award-winning author Jennifer Brozek (Caller Unknown, Never Let Me Die, and Keystones) takes you beneath the surface of six communities across Colonial America: the people, the societies, the secrets, and the things that were better left undiscovered. Described in loving detail, each location is provided with a wealth of adventure seeds and campaign starts. Whether your Heroes are just visiting or decide to make a town their base of operations, you will find plenty here to provoke, challenge, and threaten them. There are wrongs to right, conspiracies to thwart, and monsters to slay. There are friends to help and foes to defeat. There are mystery, intrigue, and danger in plenty. Just look beneath the surface. Revised and re-edited for Colonial Gothic 3rd Edition Settings incorporates Rogue Games' acclaimed Locations, The Lost Colony, and Roanoke Island, all in one book. Now it is even easier to use these locations.